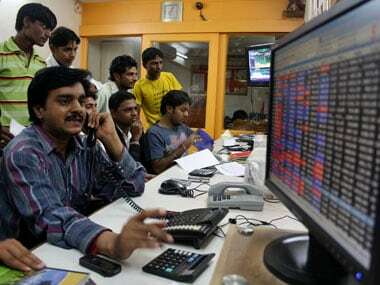 If India's IT industry is like a Formula One car race, stock market analysts can sometimes be mistaken as people who confuse pit stops with a halt in the run. 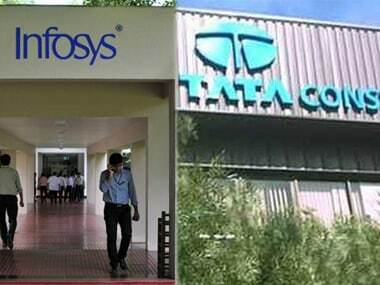 As Tata Consultancy Services (TCS) and Infosys, India's no. 1 and 2 in software service exports respectively, reported results for their October-December third quarter, it has become clear that while the number-crunchers may precision-price the stocks by quibbling on earnings margins measured in decimal points, for broader industry watchers, the news could be in the fact that the industry has found a new momentum despite some lingering obstacles -- which, in fact, may be hiding opportunities. While TCS reported revenues and earnings margins below some analyst forecasts its net profit for Q3 was an all-time record at Rs 8,105 crore, up 24.1 percent, aided by non-core "other income " no doubt but showing a 12.1 % revenue growth -- the highest in 14 quarters. Considering the large base in which annual revenues have crossed Rs 123,000 crore, you could say its momentum is more than significant when you consider that both European and US economies have just been clawing out of a slowdown. In a range of industry customer segments including energy, media retail, TCS's revenue growth has been in the double digits. Interestingly, Infosys reported a 12 percent quarter-on-quarter decline in net profit in its Q3 but its revenue grew by 4 percent ( 2 percent in dollar terms), which is higher than TCS growing at 1.8 percent in constant currency terms over the period, suggesting a robust rebound under CEO Salil Parekh, up from at least two years of boardroom tumult under his predecessor Vishal Sikka. Profit margins are holding constant, which is another positive sign. Its share buyback is best read as an indicator of optimism. The deeper implication for both the giants lies in the broader "digital transformation" story in which everything from content creation, design and e-commerce facilitation to use of advanced software involves creative combinations of service work. 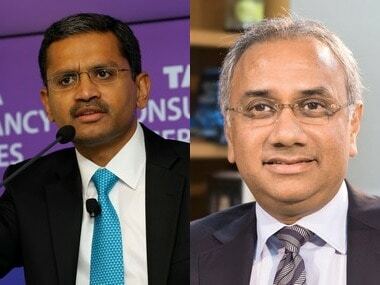 Digital revenue grew year-on-year at 52.7 percent for TCS, which overall won deals worth nearly $6 billion in the last quarter alone. Infosys saw a 33.1 percent year-on-year growth in digital business. Digital transformation is a new growth paradigm for the IT giants. It is best imagined as a combination of IT-style hard engineering and BPO-style IT-enabled processes with higher skill sets. For instance, TCS will automate and maintain digital platform on the cloud for an estimated 3,00,000 chartered accountants and 8,00,000 students in India alone. 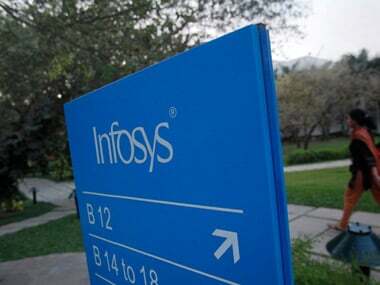 Infosys earlier this month announced a collaboration with Finland's Nokia to use artificial intelligence and machine learning skills for digital transformation. The technologies have changed, and so have the skill sets, but what remains constant is a capacity to constantly evolve new-age services. Profit margins may waver but if you look back at the virtual collapse of advanced economies a decade ago, you get a better picture of the path ahead. Wipro, Infosys and TCS have all been making acquisitions to enable digital services, and this should build up capabilities that assure strong future order pipelines going well beyond the coding and package implementation projects that they were famous for in the first two or three decades of their prime. The irony could be in some analysts expecting a talent shortage to fulfil emerging demand. We have to look at how these IT giants re-skill existing staff and alter pricing models for digital projects, in which profits and revenue growth would not follow the linear cost-based path of the previous phase of their growth. With India a confirmed base for all for everything from research to minor tweaks in IT, staff attrition will remain a concern. The point to note is that digital transformation is a multi-faceted activity with global potential, because the technological revolution is global in character, going beyond the early days of automation to drive productivity. New technologies such as artificial intelligence and new challenges such as cyber-security will create both downs and ups for the IT giants, but it is difficult to imagine anything but growth. As a senior executive of the industry association, Nasscom said recently, even a downturn in the US economy may not be bad news for Indian IT because potentially, India's software service companies can play the transformational opportunity on one side and a traditional cost-cutting one through outsourcing services to India on the other. TCS now has a market value larger than that of global giant Accenture, which is symbolic. But then a lot would depend on hiring, retraining and retaining staff. That is a space that would be consistently watched in the coming days. US President Donald Trump's visa obstacles are as much an opportunity as a challenge because business happens both on-site and offshore.